Theo and Brenna. "When You Go". New Official Music Video. - Newhillbilly website. 100% American Roots Music. Theo and Brenna. "When You Go". New Official Music Video. Theo and Brenna MacMillan, a sibling duo from Winchester, KY, has a new song they wrote called When You Go. A smooth contemporary bluegrass number with Theo taking the lead vocal. Theo and Brenna are a brother and sister that have played bluegrass music since ages 9 and 11. They had a family band for a couple years early on that played locally in their hometown area (Winchester, KY) including opening for the Osborne Brothers and J.D. Crowe. 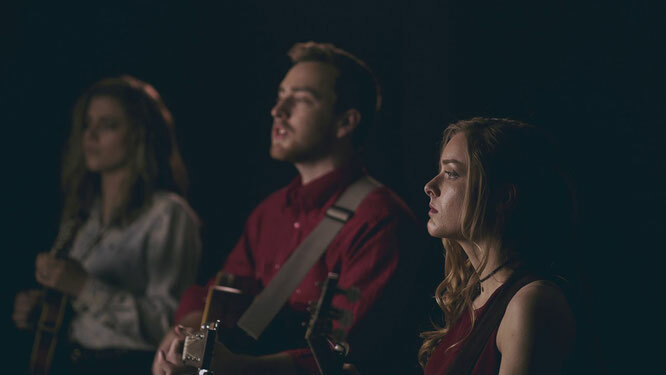 In college, they both played for the Berea College Bluegrass Ensemble (led by Al White from the McLain Family Band) and developed a passion for songwriting and playing music together as a duo.